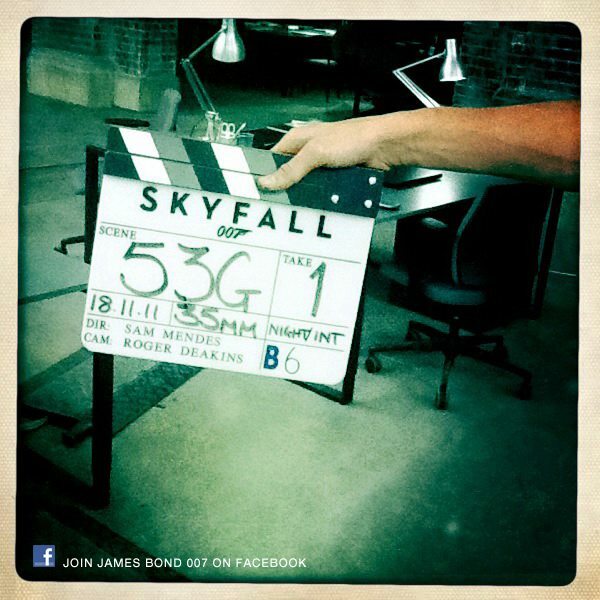 With only 8 months to go till the sky falls & Skyfall is unleashed onto the big screen. Amidst production popping up all over London - evoking a sense of pride before jetting out to shoot internationally. 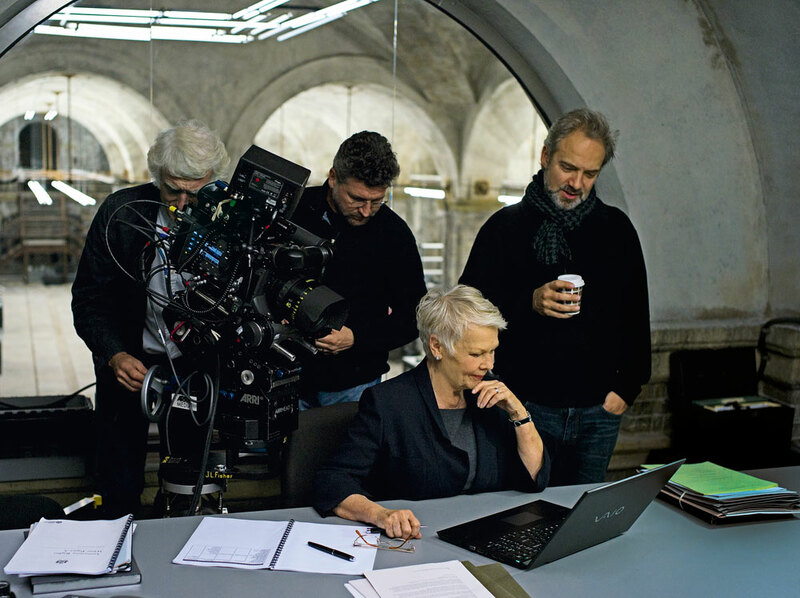 We were treated to the release of a second official Skyfall picture M and the first video blog from Skyfall Director Sam Mendes. The picture isn’t all that new as it was revealed by Empire Magazine back in February. But interesting none the less. The on set picture shows legendary Cinematographer Roger Deakins using a Digital Arri Alexa (on a Centre Mount rented from J.L.Fisher obvs.) to shoot over Dame Judi Dench’s shoulder at her laptop screen. Deakins' long time First Assistant Cameraman (since Fargo) Andy Harris pulling focus and checking the picture on a monitor, whilst Sam Mendes directs. I have updated this info as I was initially respecting Mr Harris's privacy as he is not currently listed on the IMDB Skyfall page, but some eagle eyed readers forced my hand. On camera we see Dame Judi Dench as M for the first time. She is looking at the 15.5 screen of her Sony VAIO SE 15 Series laptop surrounded by official looking document and a make shift filing system in the corner. The scene is set in an MI6 Bunker and was shot at the Old Vic Tunnels underneath Waterloo Station. Which begs the question why would M have to be in a secure underground bunker in London, the home of MI6? More from the location can be seen in Sam Mendes 007 Skyfall Video Blog below. Previously Sam Mendes was an American Associates exchange partner with The Old Vic and has directed a number of plays for the Old Vic Theatre. For the official 007.com website Sam Mendes spoke for the first time about James Bond, Casino Royale, Daniel Craig and his love of Bond.